Hey everyone, I’m turning OLD this Friday, June 30th! 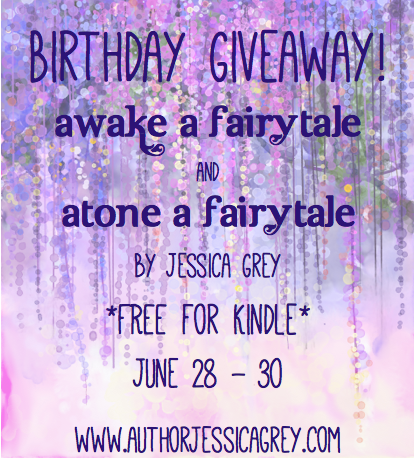 To celebrate, both Awake and Atone are FREE for your kindle. I’m hard at work on Aspire, so now is a good time to get your friends hooked on the series. Thank you all for supporting the Fairytale Trilogy! Get your free kindle copies here.